...and that's why clients keep coming back! 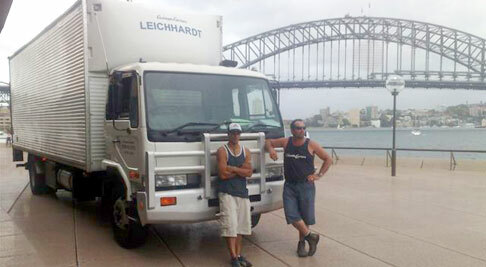 We have been servicing greater Sydney for the past 20 years and have experience in all aspects of moving. We handle single deliveries as well as residential and commercial movements. We can supply packing materials, prepack, organise storage and supply insurance advice. We tailor your move to your requirements or budget. Our fleet includes 1, 2.5, 5, 7 & 8 tonne fully equipped vehicles for any situation. We can give you an estimation of costs over the phone or would be pleased to call out and supply you with a free fixed quotation. When you choose Coleman Carriers for your move you can rest assured that you have chosen a dedicated and reliable team that will be committed to serving you in a professional manner and getting your job done in an efficient and cost effective manner.